The selection of the best travel pillow can actually be a confusing decision. Considering our lack of knowledge in the area, we really don’t tend to give attention to what our body demands and what could be the best possible solution to our body aches other than consuming painkillers. 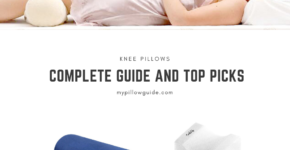 After reading this article, I hope that you’ll come away with a buyer’s guide of what to look for in the best airplane pillow — and look forward to rest and comfort while you travel pain-free. Travel neck pillows are available in various different shapes. Generally the most common ones are U shaped, but can also be found in other shapes such as a J or L or in the form of a large arch which goes over a shoulder. Traditionally they rest on top of one’s shoulders and support behind the neck and either side of the head. The U shaped design is to prevent the neck from rolling one side to another or falling forward. It helps you take naps during your long journeys. Yet u shaped pillow doesn’t provide any chin support, hence here’s where the side or ostrich or J shaped pillows dive in. These unique shapes actually give your whole face, neck and head a perfect support to lean on in any way you want and sleep.